In Ayurveda, the heart is a focal point of energy in the body. The heart is where primary energies of the body intersect as well. As such heart health and its upkeep are very important. All three doshas, Vata, Pitta and Kapha are said to affect heart health. 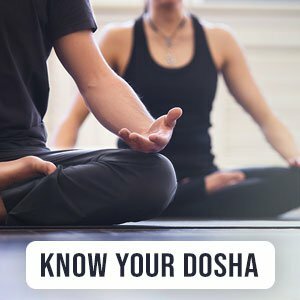 An imbalance in any or a combination of these doshas can affect how your heart can function. In this article, we will go over Ayurvedic home remedies for heart problems. Due to the nature of the heart and the large interconnectedness of its structure in the body, often holistic treatments can largely improve your heart health as well. Stay away from fatty and oily foods. Stick to healthy fats like from fish or avocado. Additionally, make sure you get enough fruits and veggies. Check out this diet plan article for heart health here. Pranayama is a means of controlling one's breath. By doing so you can also control the prana or life force in the body. Doing so can greatly improve your heart healthy conditioning. One of the best exercises for your heart is to up your cardiovascular health. Just go for a walk or a run, doing so daily for at least 30 minutes can help strengthen your heart muscles. There is the super herb Arjuna to care for your ticker. Take 3 gms of the powder twice a day. Arjuna promotes healthy blood coagulation, regulates blood pressure and can maintain healthy cholesterol levels. It is important to remember that we need to show our hearts all the love and TLC it has shown us to get us to where we are. Try these natural remedies for boosting your heart health today.